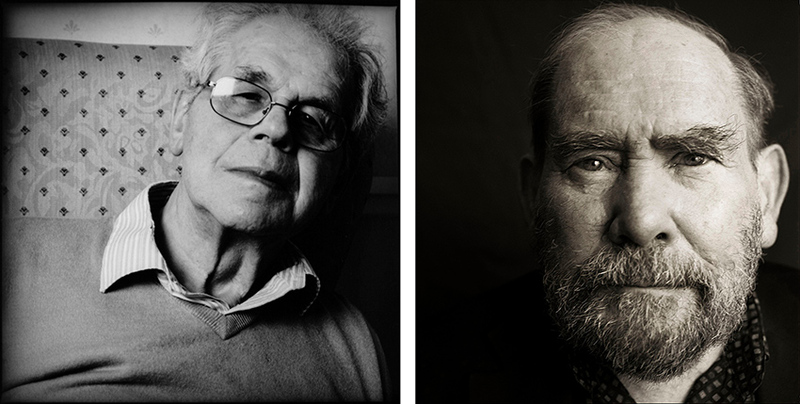 It is with sadness that we report the deaths, on Friday 5 March, of Emeritus Fellow Walter Eltis and Honorary Fellow Sydney Brenner. The College flag is flying at half staff in their joint memory. Walter Eltis, a graduate of Exeter’s sister college Emmanuel Cambridge and an Oxford D.Litt., was first a research fellow of Exeter (1958-60), then a lecturer at Exeter and Keble (1960-63), and then a tutorial fellow in Economics, with a linked University post, at Exeter from 1963 to 1988. Subsequently he was Economic Director of the National Economic Development Office; later he was Director General, and Chief Economic Advisor to the President, at the Board of Trade. Walter was also a Gresham College professor. Walter published widely, and his work was highly influential, not least on policymakers. He was a major figure in College life for many years and was greatly beloved by his students. He became an Emeritus Fellow of Exeter in 1988. Walter, who was 85 years old at his death, is survived by his wife Shelagh and their son and two daughters. Sydney Brenner came to Exeter in the early 1950s from South Africa, where he had qualified in medicine at the University of the Witwatersrand; he was a research student of Cyril Hinshelwood and took his D.Phil. in 1954. Sydney became a highly influential molecular biologist during a career which took him to Cambridge (where he was a long-time Fellow of King’s), Berkeley, the Salk Institute in La Jolla, California, and latterly to Singapore, where he played a key role in that country’s emergence as a major force in biomedical sciences. Sydney won the Nobel Prize for Physiology or Medicine in 2002 for work that helped lay the basis for the mapping of the human genome. He was a Companion of Honour, a Fellow of the Royal Society and a Fellow of the Royal College of Physicians. Sydney was 92 years old at his death. He is survived by a son and two daughters; he was predeceased by his wife May and by a stepson. Sydney became an Honorary Fellow of Exeter in 1985.